Hairizon uses mangoes to make a luxurious butter that softens the skin and moisturizes the hair without leaving it greasy. Softer than cocoa butter, it has moisturising, lubricating and damage-repairing properties. 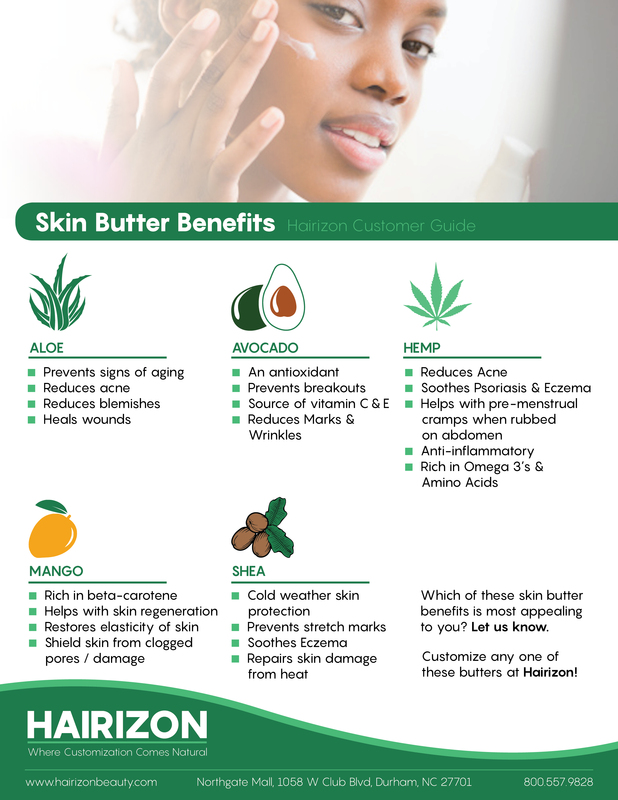 Filled with vitamins, minerals and antioxidants including calcium, potassium, vitamin A, E and C and several B vitamins, mango butter is particularly useful on neglected or sun-damaged skins in need of extra care. Our mango butter is extracted from the seed kernel of the mango tree by cold-pressing. I use their mango butter on me and my kids. We all have severe eczema and it helps repair the skin. Plus I've gotten lots of compliments from using their body mist as well. All the products are great and I recommend them to all. Great for sealing in moisture. Helps to keep my hair moisturized longer. Gritty texture that doesn't melt for a few minutes but others than that it was ok. This butter is really smooth on the skin. It has a slight gritty texture. It might just be because of the upgrade I chose, but I'll definitely try it again.